The brand new Japanese zombies map called Zetsubou No Shima contains several buildables including the Gas Mask, KT-4 the Machine Tools. 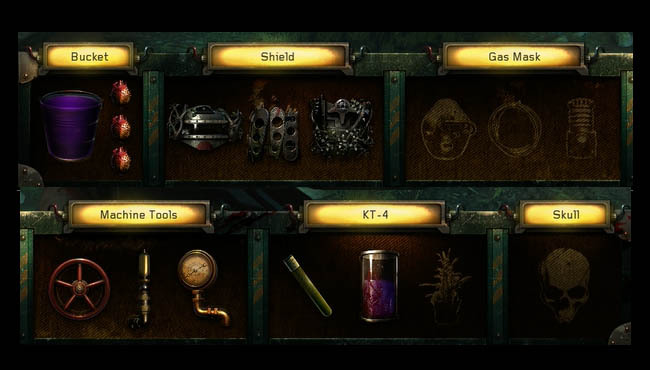 There are other inventory items such as the Bucket and Skull which players will need to progress the Easter Egg and gain the elusive Wonder Weapon. Note: Higher quality screenshot of the inventory screen coming soon. 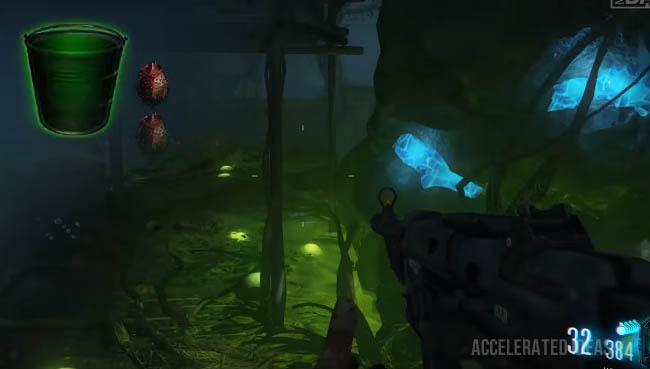 The Bucket isn't a buildable item in the Zetsubou No Shima map but is instead a usable item that will help you turn on the power and grow strange plants. There are actually three power generators in total and two of them require 115 Water to operate. Once you have picked up the Bucket item, walk into the 115 Water sections that are located at the rear of both Lab A and Lab B to fill up the bucket. The Bucket will glow a bright colour to signify that it is full of water. Now you can head back to a generator and interact with it to place the water inside, or alternatively head to a plant location and use the water there instead. Both of the generators at Lab A and Lab B must be filled with water simultaneously before the power stays active permanently. If you fail to fill generator A with water in time before B runs out then you have to start the process from the beginning again. As plants grow they can be harvested for rewards. The longer you leave a plant to grow (i.e. 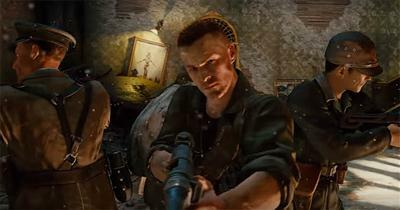 number of rounds) the greater the reward. A buildable item that requires 3 parts to complete, which you can see from the inventory image above. This gas mask is primarily used to offer protection from the many gaseous substances that are located around the map. It is not a device for breathing underwater as many thought it would be. If players shoot the orange blobs on the walls and in other areas of the map, they will release a gaseous substance that can stun nearby players. The Gas Mask buildable is intended to offer protection from this gas. Just like the shield, this buildable can degrade and must be replaced at a workbench. The classic and highly useful zombie shield makes its return in Zetsubou No Shima. This defensive buildable item provides a highly sort after protection which goes above and beyond the protection from Juggernog. It is particular useful for unsuspecting attacks from behind and with the new spiders that shoot projectiles, this sucker is going to prove very useful indeed. As usual the shield is built from 3 parts. The electric version of the zombie shield provides many useful bonuses including an electrified attack when the shield is on your back and the ability to charge control panels and other electrical equipment (useful for Easter Egg steps). To turn your regular shield into an electrical version you must complete all the ritual challenges, then wait for lightning to strike the ritual site. Walk into the electric field with the zombie shield equipped. The electric effect stays with the shield until it is destroyed, or the shield is used to override a control panel. Requiring 3 parts these Machine Tools are a brand new addition to the zombies series and they are required to fix some of the mechanism located throughout the map. For example the machine tools are used to repair the mechanism that controls the pumps to remove the flooded water from the bunker. I will update this post with more information about the Machine Tools in due course. One of the maps Wonder Weapons, the KT-4 is a buildable weapon as you can see from the inventory screen. It requires 3 parts and can be constructed at one of the workbenches. See the following post for a full guide on the KT-4 wonder weapon. A single inventory item, the Skull plays an important part in the steps for claiming the Skull of Nan Sapwe wonder weapon. Players can visit the ritual area and pick up one of the Skull's to start mini-rituals at other altar locations. See the following post for a full guide on how to get the Skull of Nan Sapwe.